We are one of the noteworthy manufacturers, suppliers, and exporters engaged in offering superior quality 2" Main Drain. At our end, this device is manufactured using quality materials and advanced technology. It has three-valve system that helps in draining the water instantly. Furthermore, the hydrostatic relief valve delivers the optimum results to the clients. 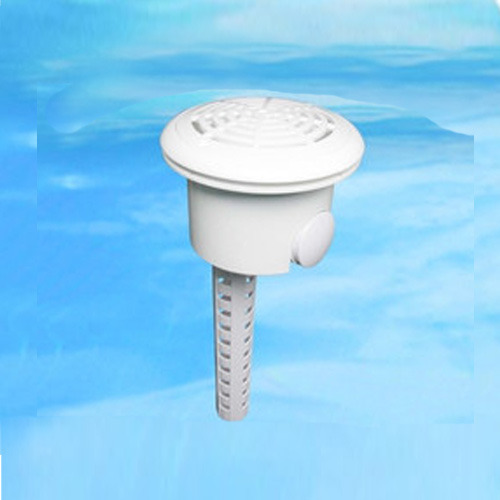 This system is widely used in swimming pools and Spa pools located across the country. In addition to it, clients can get the system installed in their provided swimming pools at reasonable rates. We have spent more than three decades in the market and are indulged in supplying various kinds of swimming pool equipments and other accessories. Our organization has set new benchmarks and standards in the market and is managed and promoted by family of the experienced group which is famous for more than Three Decades of experience in this domain. Our reputed and renowned organization has always adhered to high quality standards and has also got association from Chemical Merchant Association, Rai Manufacturing Association (Sonipat) and is affiliated from Apparel Export Promotion Council. We are engaged in offering our valuable and esteemed customers various kinds of excellent quality Imported Swimming Pool Equipments. Such as Pool Pumps And Filters, Swimming Pool Consultant,Swimming Pool Construction, Swimming Pool Water Care, Swimming Pool Equipment Supplier, Pool Lighting Fixtures,Pool Cleaning Equipments Manufacturer, Swimming Pool Accessories Wholeseller, Portable Swimming Pool Dealers, Jacuzzi And Spa Fittings, Pool Competition Equipment,Life Saving Equipment fiberglass sand filters, pool ladders, and many others. Our products are known for better service lives, optimum usage, easy maintenance, strength and are preferred and used in swimming pools, water treatment, textiles, hotels, clubs, resorts, farm houses and water parks. We follow ethical policies and always keep customer satisfaction as our topmost priority. We offer timely deliveries and are known for offering reasonable rates to our clients. We customize and package the products as per client varied desires.